Cocaine, a potent drug made from the leaves of the cocoa plant, is not strictly a street drug. While that may be what it is best known as originally it was strictly a pharmaceutical, often sold over the counter at drug stores. It was so common and considered so benign, and it was even one of the original ingredients in Coca-Cola — thus its name. However, there were issues with regulating the cocaine dose given, and many quickly became dependent on the drug, ending the popularity of medical cocaine use. Now, the drug still has some medical purposes, but it is rare for the drug to be used as a medical treatment. Instead, it is overwhelmingly a recreational drug. However, it is important that people know when cocaine amounts become deadly and how to protect themselves. Because it is rare for cocaine to be used in medical treatment, users who do take it for such reasons often struggle to find information applicable to them. Most medical cocaine is administered directly by a doctor—usually anesthesiologists and dentists—and used as a topical anesthetic. This means that the dose used is highly controlled and the patient does not need to concern themselves with it unless they are curious. Topical cocaine is called cocaine hydrochloride solution. It is manufactured in three different concentrations: one percent, four percent, and 10 percent. In general, only the one percent and four percent versions are used due to concerns related to toxicity. However, there are cases where the drug is prescribed for medical purposes and may be administered by the patient. The vast majority of these cases are in terminal patients to alleviate mental and physical pain. Studies have been conducted to determine the best doses to use with both acute and chronic treatment with cocaine. The effects of the medication were examined using titrating-delay; once a stable performance was found, the researchers determined which cocaine dose allowed for the fastest decline without harming the performance of the drug. This helps to reduce the likelihood of addiction occurring. Additionally, in long-term use of the drug for mental and physical pain, the dosage will often be reduced as time goes on. This is because lower doses are often more effective at reducing the mental symptoms being treated than higher doses are. Taking the exact amount of cocaine prescribed is highly essential. The user should also never supplement their prescribed amount with street drugs or take it in unprescribed ways, such as through a cocaine dispenser. This helps to ensure that the user does not cross the lethal overdose threshold: cocaine LD50. In medical uses of cocaine, the lower the dose of the drug used, the better. This is because lower doses are safer and are often better at treating the conditions cocaine medical use is meant to treat. How is cocaine measured? In medical settings, by the milligram. The lowest dose starts out at one mg, used for topical anesthetics. When used to cause central nervous system depression, doses of five mg to seven mg may be used. In general, the highest pharmaceutical cocaine dose used is 10 mg, used in the management of severe physical pain for terminal patients. 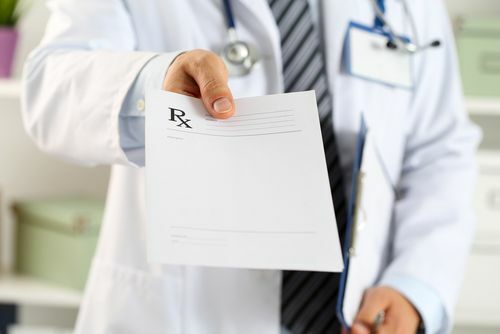 The exact lethal dosage for an individual will depend on a variety of factors, including their height, weight, age, general health, tolerance for the drug, and method of administration. Some people may overdose on as little as 30 mg when it is administered via mucous membranes. 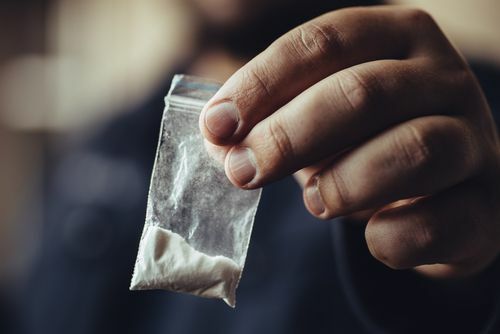 Those who have built up an extreme tolerance to the drug through abuse may be able to take as much as five grams in a day before suffering a lethal cocaine overdose. The lethal dosage of any drug is often referred to as the LD50—the median lethal dose, i.e. when 50 percent of users would suffer a fatal overdose. The generally accepted cocaine LD50 is 1.2 grams when taken orally. However, this is just when the likelihood of overdose is at 50 percent; this means that many will die after taking a smaller dose. Cocaine measurements for the lethal dose will change depending on how the drug is taken; if administered through the mucous membranes, the fatal dose will be lower. Also important to note is that this is strictly in regards to fatal overdoses—overdoses in which treatment is essentially impossible, and death is all but inevitable. Overdoses that can be treated if medical attention is sought early on occur at lower doses. It is vital that anyone taking cocaine medically or recreationally knows the signs of overdose so they can find immediate treatment, preventing death from the drug. While there are legitimate applications for cocaine use, the vast majority of people taking the drug do so recreationally. In fact, the substance is such a popular street drug; it is second only to marijuana in use. While people of all ages abuse it, young adults tend to use it and other illicit drugs the most, with one in five college students admitting to having taken an illegal drug in the last month. It is estimated that there are about 1.5 million active cocaine users in the United States. While cocaine overdose deaths had fallen from their peak in 2006, they are on the rise again. In 2011, the drug was linked to 505,224 of the 1.3 million drug-related emergency room visits. In many cases, cocaine was used with another drug, increasing the risk of overdose. When compared to the medical use of cocaine, the risks are much higher because how much cocaine is used tends to be higher. This is because recreational users want to intensify the effects of cocaine while the drug in medicine seeks to minimize them beyond what is needed for treatment. Medical cocaine use is relatively rare and highly controlled, used only for anesthesia and for pain management in terminal patients. Pharmaceutical cocaine is almost always prescribed in small doses, as this is when they are most effective in treatment. Used correctly, medical cocaine should never result in an overdose. However, when used recreationally, the risk is high. It is vital that anyone abusing the drug seeks treatments for cocaine addicts or any other help to avoid a potentially fatal overdose. If you or a loved one are experiencing signs of a cocaine overdose, seek medical attention immediately. If looking to get off the drug to prevent such a scenario, speak with our addiction specialists at (888)-459-5511.